Tervis Tumbler is a 71-year old, family owned business. 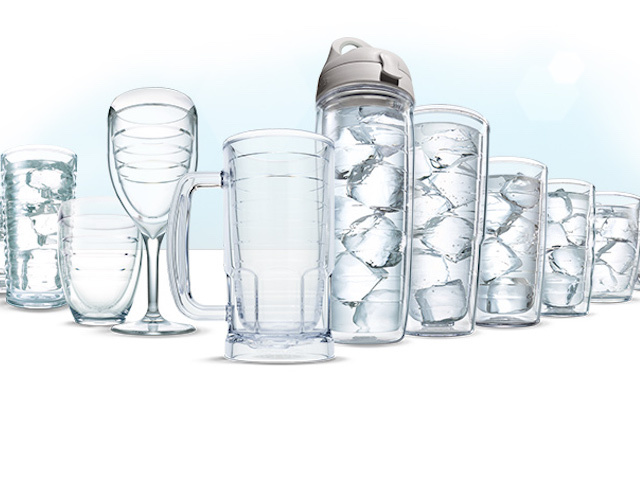 We are the industry leader in double walled insulated drinkware in both plastic (Tritan) and stainless steel. Our "Classic" line (plastic) is made in America, is dishwasher, freezer, microwave safe, BPA free and carries a lifetime guarantee against manufacturer defect. Our stainless products are 18/8 stainless steel, copper lined and keeps your drink ice cold for 24 hours or piping hot for 8 hours.